Designed by Uren din Jubai Soaring Gull of the Atha'an Miere, and made popular by Panarch Farede of Tarabon, the Farede Calendar counts years since the end of the War of the Hundred Years. The first year in the Farede Calendar, 1 NE (New Era), is believed to coincide with FY 1135 of the Gazaran Calendar. Established by 50 NE, the Farede Calendar is still in use, although it remains to be seen if this system, like its predecessors, will survive the chaos and destruction of a major war. The Last Battle might not only see an end to the Farede Calendar, but perhaps the Third Age itself. "Seven Spokes" is not approved or authorized by Tor Books or Robert Jordan. 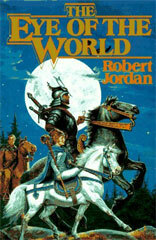 "The Wheel of Time®", "The Dragon Reborn®" and the snake-wheel symbol are trademarks of Robert Jordan.